If you are like me, you sometimes look at the fisheries Stocking Reports just to see what lakes are being stocked. When you get into these reports, you start seeing terms like “Pennask 2N” or “Fraser Valley AF3N” and wonder what the heck that means. The following is a quick overview of what all those stocking terms mean with respect to BC trout strains. As a note of caution however, I haven’t seen the Tunkwa strain listed in the Stocking Reports for some time. 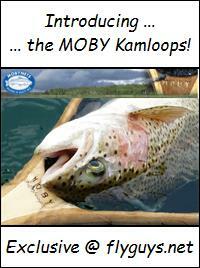 Three BC trout strains of Rainbows are usually found in the lakes of the Thompson-Nicola area around Kamloops. These are the Pennask, the Fraser Valley and the Blackwater BC trout strains. 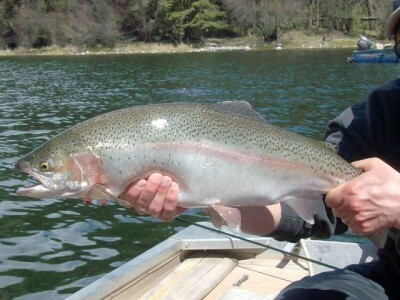 The Pennask strain is the most common Rainbow stocked in our area. The Fraser Valley strain is found in lakes like Edith, Jacko, Morgan, Six Mile and Red. The Blackwater strain is put into lakes such as Tunkwa, Stump, Logan, Lac des Roches, and Paul. A few small lakes near Kamloops on the Bonaparte Plateau have been stocked with the Dragon trout strain. So what does all that mean with respect to BC trout strains? It refers to specialty treatments the trout have had or have not had to help with the fisheries management of our lakes. For us anglers, there are advantages to having an all female population of trout in our favorite fishing lake. Females mature slower than males and thus go into the spawning cycle later in life providing us with longer angling opportunities. The loss of precocious males is eliminated and in an all female environment, the fish are less likely to go into the spawning phase. The process to obtain all females is labor intensive for the fisheries folks. Female fry are exposed to testosterone derivatives that halt ovary development and instead, encourage the production testes. In essence, it produces a female with testes even though the Y male chromosomes are missing. Since these females lack a sperm duct, the milt must be obtain by hand to mix with ordinary female eggs. Since no male Y chromosomes are involved, the newly hatched fish are all female. 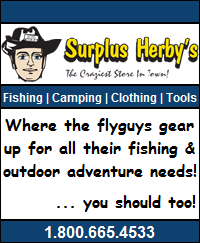 the most commonly stocked fish in our area. While the diploids (2N) have two strands of chromosomes, triploid (3N) fish have three strands of chromosomes. Since reproductive cell division occurs in pairs and triploids have three chromosome strands, the extra strand cannot be duplicated. This renders the triploid fish sterile and incapable of reproduction. Triploids are created by applying heat or cold shocks, high pressure or certain chemical treatments to newly fertilized eggs. In BC, triploids are created by applying hydro static pressure or by the heated water treatment shortly after fertilization. What this does is prevent the second division of meiosis allowing an extra set of female chromosomes to be retained. The embryo will have one set of paternal chromosomes and two sets of maternal chromosomes. All 3N females are sterile and won’t enter the spawning phase. Some males, however, will still undergo secondary sexual development, produce gonads and go into the spawning cycle even though they are sterile. Triploids can easily grow to 20 pounds and larger. In 2009, a 48 pound triploid was caught in Lake Diefenbaker, Saskatchewan. While this Rainbow takes the world record, there are arguments against allowing triploids into the record books. 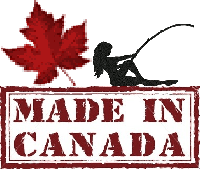 This entry was posted in Still Water Fly Fishing and tagged 2N, 2N Diploid, 3N, 3N Triploid, AF, AF All Female, AF3N All Female Triploid, BC Fish Stocking, Blackwater, Diploid, Dragon, Fraser Valley, Gerrard, Pennask, Premier, Ron Newman, Treatment Designations, Triploid, Trout Strains, Tunkwa, Tzenzaicut. Bookmark the permalink. Great article Ron – thank you! I think it ties in quite nicely with our Rainbow Trout Strains of British Columbia post a while back.